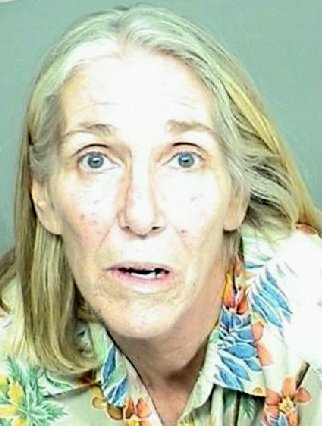 Paradise Store and Grill owner Priscilla Susman — accused of driving drunk and causing a five-car accident on Highway 154 in September that left one person dead and several more injured — pleaded not guilty to three felony counts during her arraignment on Wednesday. She is charged with felony gross vehicular manslaughter while intoxicated, two felony counts of driving under the influence of alcohol and causing injury, and a special allegation that she caused great bodily injury to more than one person. Susman’s blood alcohol level reportedly measured 0.36 right after the accident. No prior DUI arrests were brought up during this week’s arraignment, meaning she had not been charged with one prior in the last 10 years. According to police reports, Susman, 54, was driving westbound on the 154 toward Lake Cachuma, just west of Cold Spring Bridge, when another driver watched as she slowed down and made a U-turn in the middle of the road. Now traveling eastbound toward Santa Barbara, Susman reportedly began driving very erratically, at times crossing over the double-yellow lines into oncoming traffic. The witness said he attempted to catch up to Susman with the intention of calling 911 to report her, but lost sight of the car — a 1996 Nissan Pathfinder — as it entered a curved stretch of the road. Soon after, Susman’s vehicle purportedly hit the left side of another car that was also traveling eastbound. The impact caused both vehicles to spin out of control across traffic, into the westbound lanes, and directly into the path of three cars that were traveling westbound, downhill. Two of those cars, a Saab and a Toyota, hit Susman’s vehicle, causing it to be pushed off the road into a tree where it came to rest. The impact between the Saab and Susman’s Pathfinder left the driver of the Saab, Liesel Ryden, 73, with fatal injuries. Susman herself suffered major chest trauma in the crash and spent over a month recuperating at Cottage Hospital. CHP officers immediately took her into custody when she was discharged on October 27. Deputy District Attorney Arnie Tolks is prosecuting the case, and Susman is being represented by defense attorney Michael Carty. She is set to appear in court again on January 18 for a preliminary hearing.